My primary research topics include the development of conditional modeling techniques with applications in finance and computer vision, hierarchical representations and sequential computation schemes in Bayesian image analysis, model-based hedging strategies of financial derivatives, and reproducibility and batch effects in omics data analysis. Most of my research projects are motivated by real problems. Optimization in derivative hedging is an essential problem in financial industry, allowing market makers to spread out and reduce their risk exposure when initiating a derivative trading market; Our generative hierarchical models, with grammar-like structures for image interpretations, are constructed to tackle the vision problem, my favorite artificial intelligence problem, where the goal is to narrow down the gap between human and machine performances in image detection and recognition; Cross-study validation is investigated to address the lack of reproducibility, which is one of the biggest issues in Biomedical sciences. I am also interested in the integrative analysis of multi-omics data, on which I currently collaborate with researchers in the college of public health and the mathematical biosciences institute. 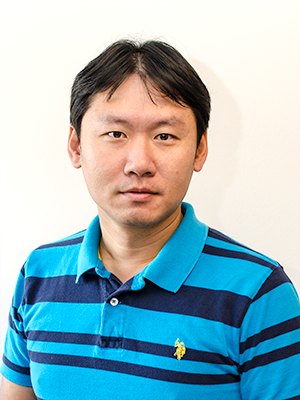 Lo-Bin Chang joined the statistics and TDA faculty in 2015. His research has been funded by the DARPA, NSC, other research institutes, and corporate collaboration.